Our easy-to-use tool will allow you to have a complete analysis of your backlink profile for given domains, subdomains or URLs. 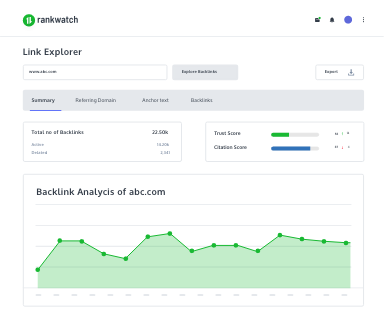 Backlink Checker Tool by Rankwatch is a free backlink generator tool to get a look at how many domains or pages are linking to your website. 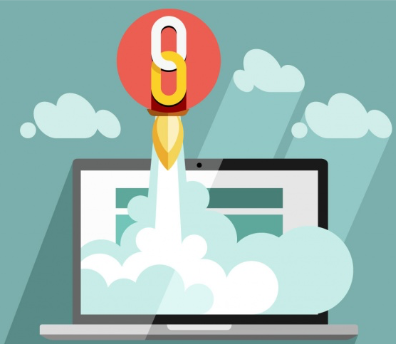 With just one single click, you get access to a plethora of backlinking information that’ll help you in preparing a robust Link Building Strategy. For eg, the websites linking to you, their domain authority, their quality, etc. The links that exist on other websites but are pointing to your website are called Backlinks to your website. They are also referred to as Inbound links or Incoming Links. In SEO terms, the more the number Backlinks your website has, the better it is for the rankings. Also, the quality of the Backlinks also play a similar role in improving your rankings in the search engine results pages. You must be wondering how? Actually, Backlinks are perceived as a kind of recommendation by the search engines like Google. Hence, higher amount of backlinks to your website will have a significant impact on your search rankings. When you ponder upon the question of how to build quality backlinks, always keep the solution focussed on the Link Quality, and not Link-Quantity. While targeting sites for Link Building, target those ones having a Domain Authority higher or equal to your own site’s. On the other hand, your site’s SERP rankings will suffer if it contains a lot of poor-quality backlinks or backlinks that are coming from a spammy website. And this is where you’ll be requiring an efficient Backlink Tracker Tool to perform a link detox on your website’s Link Profile. The Need of a Back Link Checker Tool | Why Monitor Backlinks? When you get linked by any website, you get a Backlink. Backlinks in SEO are highly important. Not so long back, Backlinks used to be the top contender for SEO ranking. Now, with time, Google has added other ranking factors as well. Backlinks used to be one of the most important parameters for high page ranking and better keyword ranking. However, with time, Google demoted the priority of backlinks and added more signals to rank a website. Over the internet you may find plenty free backlink checker tools. 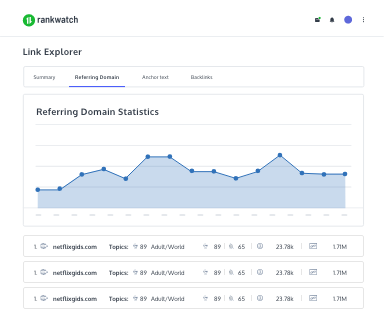 But, Rankwatch’s tool gives you a much better and in-depth analysis of the incoming backlinks to your Backlinks Profile. You can monitor these tools and prepare a better Backlink Indexing strategy for your website. Once you click on Explore Backlinks, you will get a dashboard filled with stats. This is the summary of your website’s backlink history. You can see the total number of backlinks till date, number of backlinks deleted, their fluctuation over the years and etc. With the domain referring section, you can have a clear understanding of your backlink sources. These are the website which are referring to your domain, i.e they have mentioned your domain link on their websites. You can also see under what categories these websites fall. This section of free backlink checker of Rankwatch shows you every URL with its source website, category, anchor text, link type and history about the link. You can check whether a do-follow link that you were promised in a guest post is still active or deleted. If a website/blog reviews your tool or mentions you in their article, chances are you won’t always get to know about it. You can check this information from here and use these backlinks for further promotions. Your backlinks are clickable under certain set of hyperlinked words, these clickable texts are called anchor texts. 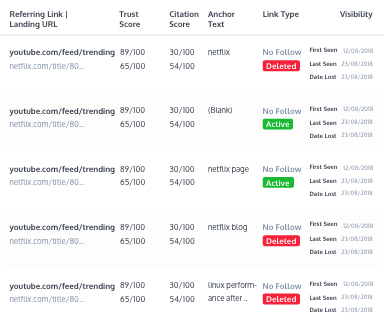 Rankwatch’s free backlink tool also tells you what these anchor texts are on each referring website or link. 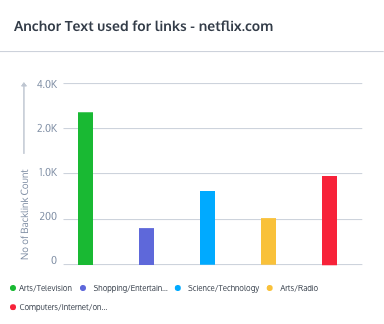 The statistics of these anchor text can help you formulate better strategies of using calculated keywords which people click on. Rankwatch is used by 100,000+ Professional and chosen by the smartest companies.